If you’re looking for a one-stop shop for pool cartridge filter maintenance, you found it! In this blog article, we discuss the differences between the original OEM cartridge versus a generic brand. We also discuss filter material, the purpose of the cartridge bands, and list other cartridge-related blog posts and videos. 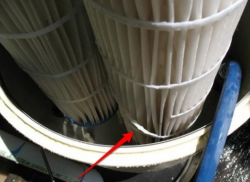 One of the most frequently replaced parts in a cartridge filter is the cartridge itself. 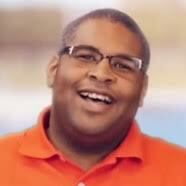 What shocks most pool owners is the price of the cartridge. For example, the original, or OEM, cartridge for the Jandy CL580 filter is $141.99. Which brings us to a frequently asked question– are the OEM cartridges worth the price or could you buy a generic brand instead? I’ll be very forward, the filter material on the OEM cartridges is the best quality. However, in terms of filtering performance, the generic branded cartridge performs the same. And it is a lot easier on the pockets, as well. The generic cartridge for the same CL580 filter is $87.99. That’s a decent fifty bucks you’re saving. But how good are the generic filters? It’s true, all generic parts are not equal. However, I must admit, if you properly maintain your filter, the generic cartridges provide the same filtration as OEM. I speak from experience. For years, we’ve carried Unicel, Filbur, Pleatco, and PureLine generic cartridges. Overall, they have all had an excellent success rate. Sure, some pool owners still prefer OEM over generic, however, for the most part, our customers stick to generic filter cartridges. Have you noticed the bands around your cartridge filter? Have you ever wondered what those bands do? What purpose do the bands serve? The bands around the cartridge prevent the pleats from moving while filtering your pool. As the glue on the bands deteriorates, it compromises the integrity of the pleats. According to pool manufacturers, the bands also help maintain pleat spacing, making filter maintenance a lot easier. So, the more bands the filter has, the sturdier the pleats are. In turn, it helps to extend the longevity of the cartridge. But, are the bands absolutely necessary? Our friends at TroubleFreePool.Com argue that your filter cartridges don’t need them. Although they don’t have scientific evidence to support their theory, they believe that the water flows from the outside in. As a result, the structural support needed is provided by the tube in the middle and not by the bands. In fact, there are instances where pool owners have purposely pulled the bands off of the pleats to determine if it had any effect on the filtering process. According to them, they saw no difference. Typically, once the bands start to deteriorate, it’s a sign that your cartridge needs replacing. Sure, the inner core is important. If the solid core is perfectly intact, the bands typically don’t really matter. However, if you have a predator filter, for example, which does not have a solid core, then broken bands might cause an issue. Reemay is the leading manufacturer of the material found on the majority of swimming pool filter cartridges. The material on the cartridge is spun-bound polyester designed to increase surface area in less space for better filtering. It’s also resistant to chemicals and easy to clean. In most OEM cartridges, the approximate weight of the fabric is 4 0z. You may come across some cartridges that weigh 3 oz., however, they are usually for low flow spa filtration. Like the OEM brand, generic brands like PureLine and Unicel also use a 4 oz fabric. This adds to the effectiveness generic cartridges provide. To help combat pool bacteria, Pleatco designed a Microban cartridge replacement alternative. Microban is an antimicrobial blend that prevents and slows the growth of harmful microorganisms. The Microban blend is great for keeping bacteria, algae, and mold from sinking their teeth into your cartridges and extending their lifespan and filtering quality. 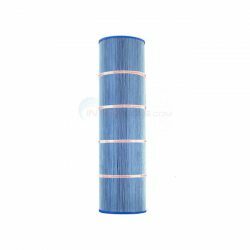 Microban is a registered product of Pleatco, one of the generic brand filter manufacturers. This only proves our point, generic brand cartridges perform the same as OEM ones. The amount of chlorine or other sanitation chemicals required to keep your water clear remains the same. Microban material prevents the growth of those nasty slimy things on the cartridges themselves, but it does not prevent their spread elsewhere to parts like skimmers or water features. If you live in an area where winterizing your pool is necessary or your water chemistry is an unmanageable beast then Microban is the solution for you. 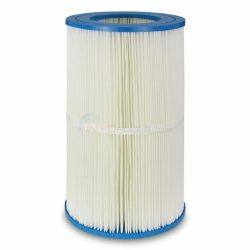 For your filtering pleasure, we’ve rounded up our top pool filter cartridge content to help maintain your filter cartridges. 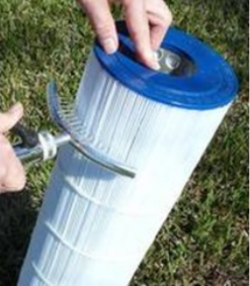 Below are blog posts, how to guides, and videos that can help pool owners with their filter cartridges. 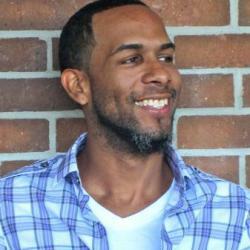 If you have a question or run into an issue we don’t discuss, feel free to email or call us. You can break cartridge maintenance into two categories, “Saving it” or “Chucking it.” The saving it category contains the weekly maintenance chores. The “chucking it” category determines if the cartridge is worth saving or should be replaced. There are three filter types common on residential pools, and they are sand, cartridge, and DE. Each filter has their pros and cons. We will talk you through the basics of each type then we will dive into the finer points. I just put (my pool tech) a new filter in. The equipment somewhere is making a irregular intermittent knocking kinda sound. I have heard this before when my husband used to maintain the pool. I don’t know what to do. He used to take care of it now it is my responsibility. Any suggestions? I have a similar mystery on a relative’s pool. When the pump starts to prime itself there is a loud noise similar to gravel in a hopper coming from the multiport valve. Eventually, the problem solves itself, but there is a lingering knock every ten to fifteen seconds. We haven’t found the source of it yet. But the pump and filter have been working correctly like this for a while so we have left well enough alone.